Merry Christmas to us! 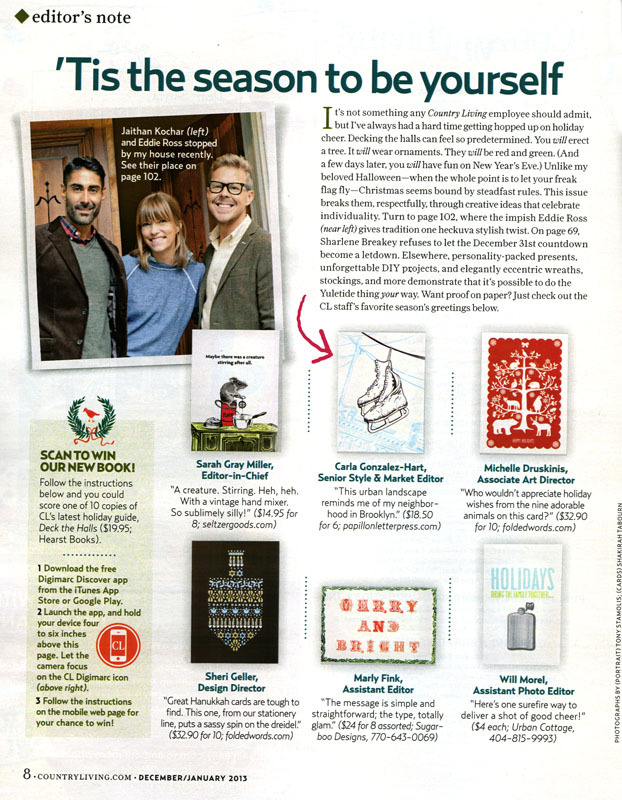 Our City Skates card was recently chosen as an editor’s pick in the December issue of Country Living magazine. 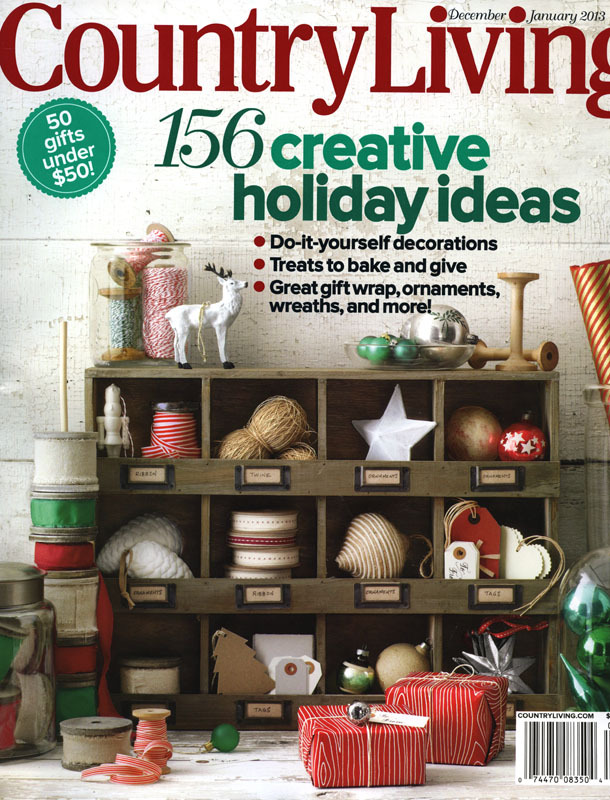 The editor chose it because “the urban landscape reminds (her) of her neighborhood in Brooklyn“. She’s right! The illustration was done by Joel using reference from our old ‘hood in Williamsburg.